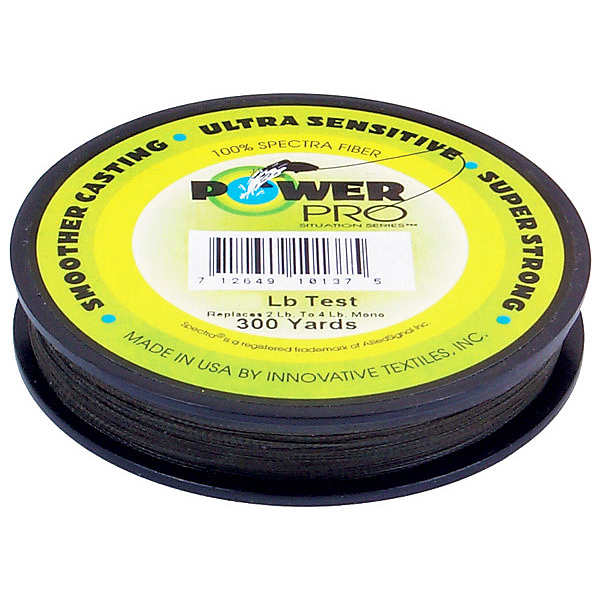 Spectra braided fishing line, like this line from Power Pro, is light, strong and slippery, for less line noise and lower friction. Fishing line connects the lure or bait to the angler's rod and reel and is paid out, thrown or cast at varying distances to present the lure or bait to the fish. Once the fish are hooked, the line is critical to reeling a fish in. Fishing line that is extruded in a single continuous filament and left untwisted is called monofilament. It's smooth and clear and offers moderate amounts of stretch. Monofilament is also available in special colors to improve visibility above the water while keeping it invisible for the fish. High-performance line produced by thermal bonding of small fibers is called thermal filament and has a smaller diameter per pound test than monofilament. Braided lines are a bit thicker and more common for fishing larger species, e.g. fishing for large blue- and yellowfin tuna offshore. The strength of fishing line is called test and is measured in pounds. It should roughly match the weight of the species you are fishing for (e.g. use line in the 30-pound test for tuna in the 30-pound range). A typical line to cast for trout would be 4-pound test. Consider braided line of 30-pound test or more if you go after large game fish. A rule of thumb is to fish with the lightest gear possible so you don't tire and have more fun. In competition when test is specified, anglers must use light line to land heavy fish. But that requires experience, a zest for a long fight and, above all, solid technique. Another difference: while normal fishing line is guaranteed to break above its rating, tournament line must break before the rating or the records will not be recognized. 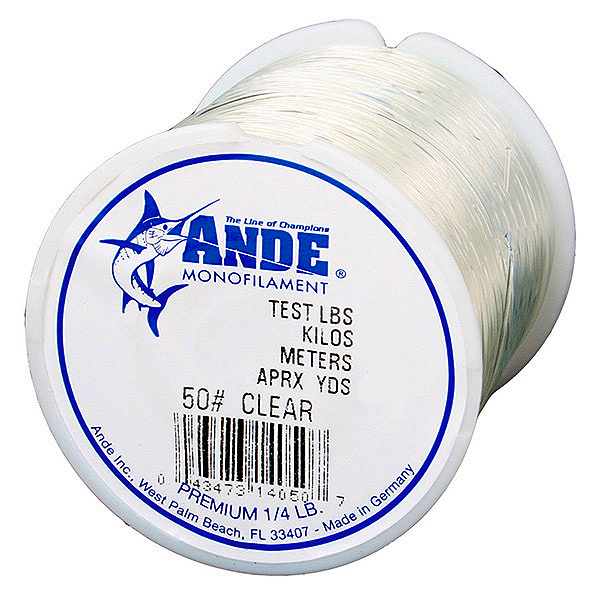 Monofilament nylon fishing line, like this Andes Premium Monofilament, is cheap and popular. Nylon, the oldest and most common of the synthetic fibers for fishing line, is made from linear polyamides and offers a good compromise between strength, stretch and abrasion resistance. Dacron, developed by DuPont in the late 1950s, is based on a long-chain polyester and represents a step up from Nylon in strength, flexibility and low stretch. Spectra and Dyneema are two modern brand names for ultra-strong polyethylene fiber that is used in high-tech fishing line. It is many times stronger than steel, more durable than polyester and so light, it floats. We recommend Spectra/Dyneema for higher tensile strength at smaller diameters, which reduces the weight of the tackle and increases the amount of line that fits onto the spool (e.g. 130-pound Spectra test has the same diameter as conventional 30-pound test Nylon line). 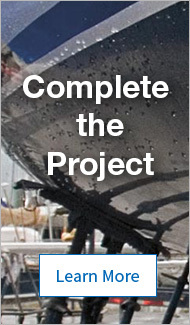 Spectra/Dyneema also offers better abrasion resistance, which prevents loss of bait or lure when fishing near obstacles or near the bottom where line snags or chafes against sharp objects. When it comes to active styles of fishing that require frequent casting, we recommend smooth, light lines because they come off the spool easier, enabling more accurate casts over longer distances. Less stretch in fishing line results in more sensitivity to feel the fish, which is what anglers are looking for. However, in certain instances, some line stretch is desirable, (e.g. when trolling) because it can act like a shock absorber and make the difference between setting the hook in a soft-mouthed fish such as salmon or ripping it out. Unlike in humans and computers, less memory is better when it comes to fishing lines. Why? Memory refers to a line's ability to retain its shape after deformation. A line with a lot of memory "remembers" the loops that develop when it is wound up on a spool. Lines with no memory stay straight when they come off the spool, and as a result develop less friction on guides and reels, which enables longer, smoother casts. Line loses up to a third of its strength at the knot, so we recommend that you size fishing line generously, even though the actual breaking strength exceeds its rating by approx. 50 percent. We recommend that you use genuine fishing knots to attach leaders and terminal tackle to the line to minimize the loss of line strength in the knot area. A line's shock resistance withstands breakage when fish hit at high speeds especially during trolling. If you are not sure what you are going to get, err on the strong side or you risk losing your catch. For example, if you fish for fast-swimming Dorado in the 20-pound range, use 30-pound test so your line has enough strength and shock resistance (in this case approx. 45 pounds) if the fish hits at full throttle and takes off with the bait. For a well-balanced tackle that is functional and comfortable to use, we recommend matching the line class to rod and reel. Too light a line may be difficult to cast or may be broken by an excessive load. Too heavy a line can break the rod. Make sure the line's test matches the average weight of the targeted species, is capable of absorbing shock loads when the fish hits, and has enough strength in the knot areas. Bait-casting on a lake requires lighter and more sensitive line than saltwater game fishing because it is a more active style of fishing and the targeted species are smaller. Common mono-filament has more stretch than braided high-tech line and takes up more room on the spool. Performance lines such as Spectra sell at a higher price point because their production is more lavish than Nylon or Dacron but we consider them a good value because they offer more sensitivity, abrasion resistance and knot strength, while they have low stretch and next to no memory. Line with moderate stretch is good for trolling because it may be the difference between hooking the fish or ripping the hook right out of its mouth. Good advice when buying line is to buy lots of it because you will find that you lose more than you expect.